Easter is a Christian holiday celebrating the resurrection of Jesus Christ. Easter is preceded by Lent, a forty-day period of fasting, prayer, and penance. The last week of Lent is called Holy Week, and it contains Maundy Thursday, commemorating Maundy and the Last Supper, as well as Good Friday, commemorating the crucifixion and death of Jesus. 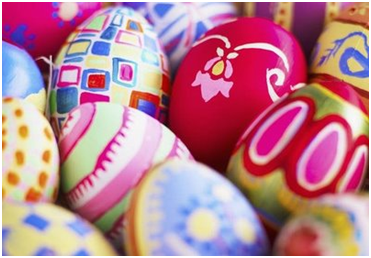 Easter eggs are commonly given as a gift at Easter. The reason for this is because eggs symbolise new life. The largest decorated Easter egg, built by Freeport in Alcochete, Portugal was 14.79 m (48 ft 6 in) long and 8.40 m (27 ft 6 in) in diameter when measured on 8 March 2008.